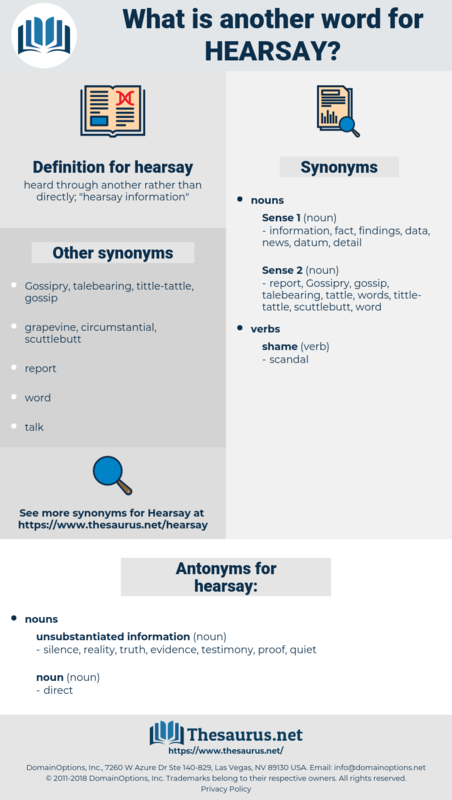 What is another word for hearsay? 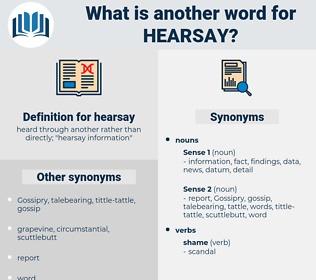 heard through another rather than directly; " hearsay information"
silence, reality, truth, evidence, testimony, proof, quiet. Side valleys opened unexpectedly, and one knew from hearsay that gold mines were hidden there. All I know is this - and I got it from hearsay: His name - the name given to me, anyway - was Martin Smeaton.